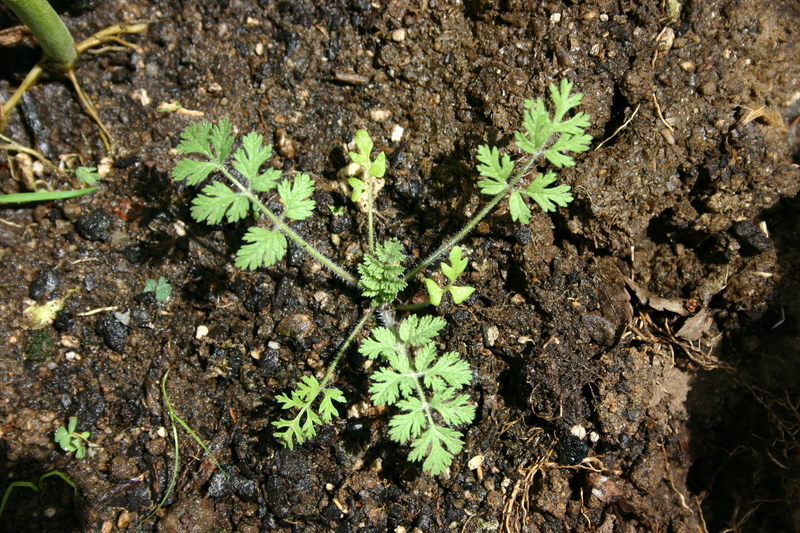 These two species, Erodium cicutarium and Erodium moschatum, are similar in appearance and can easily be confused. 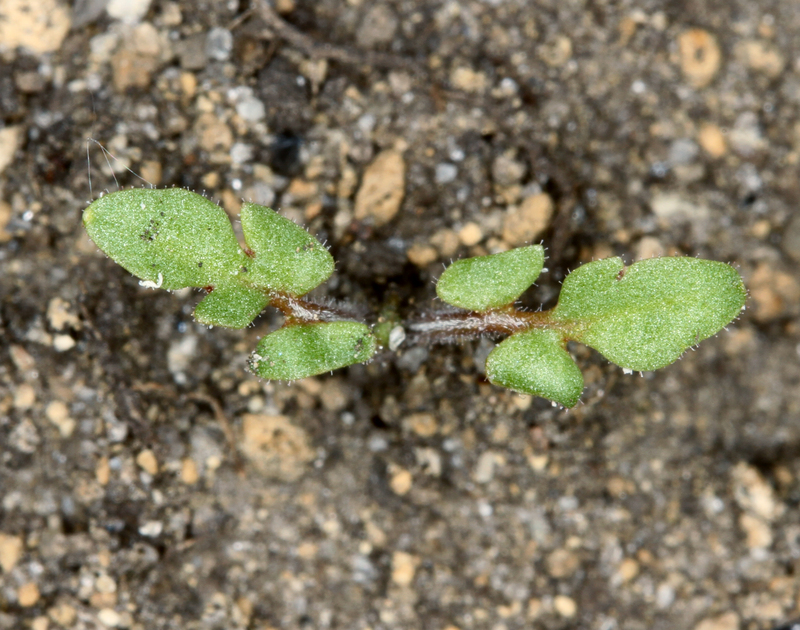 Storksbills have very distinctive cotyledons, shaped like a guitar with one side offset. 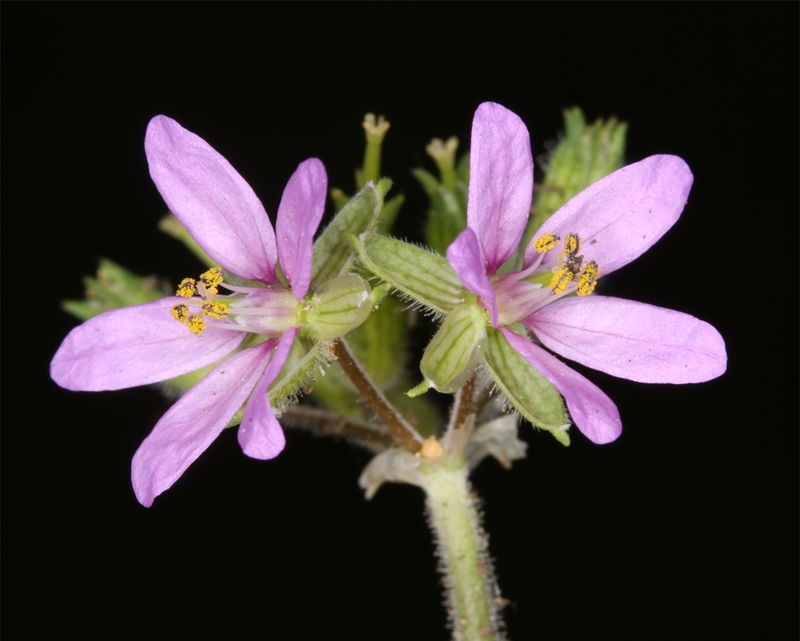 Storksbill (Erodium cicutarium) is usually the smaller of the two species and is also more widespread. 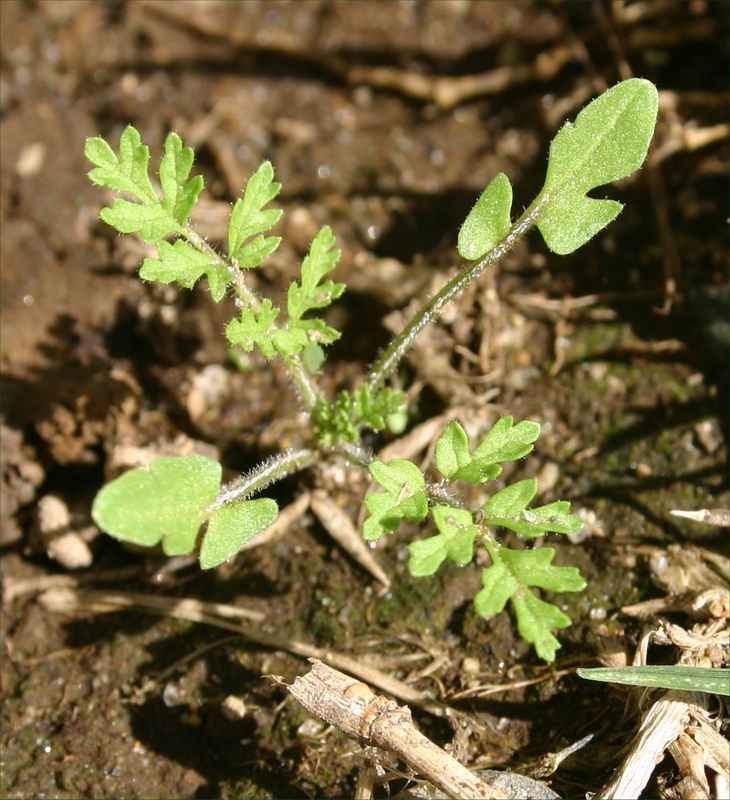 It is a weed of arable land, poor pasture, dry tussock and grassland, and is found in drier coastal and lowland areas of both the North and South Islands and the Chathams. 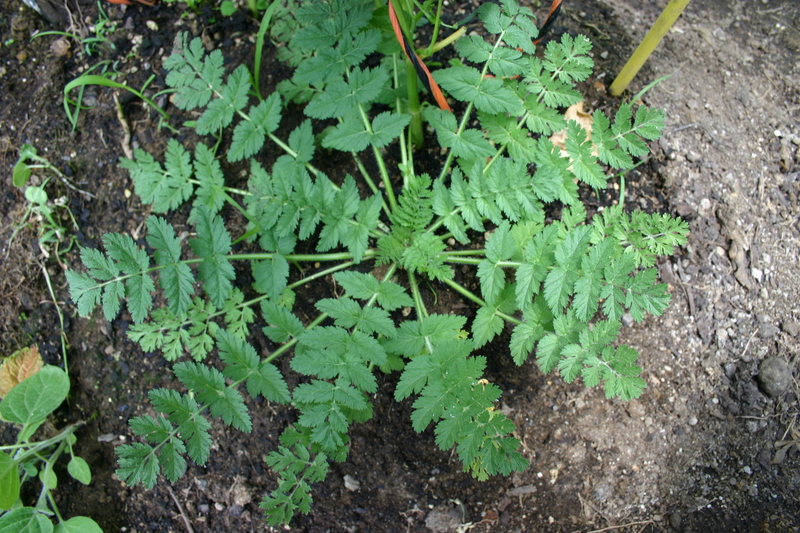 Flowers are clustered in five-twelve-flowered umbels and appear from September to May. 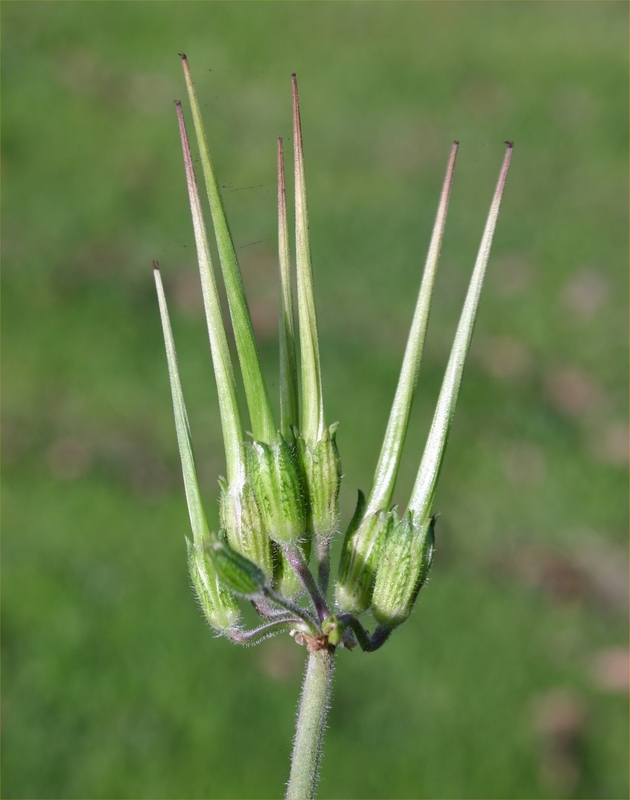 Musky storksbill (Erodium moschatum) grows in wetter, more fertile locations especially dairy pastures. 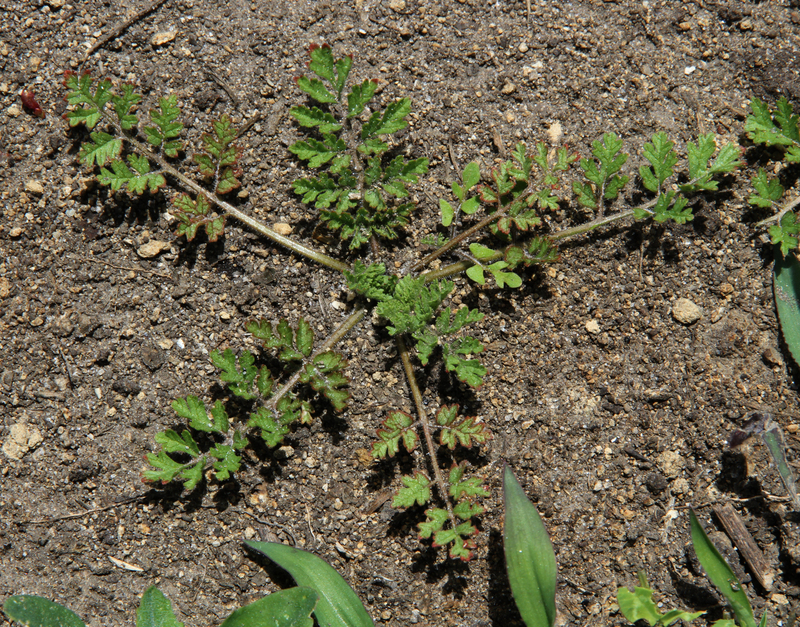 Parsley dropwort (Oenanthe pimpinelloides) has shiny leaves and only grows in the north of the North Island. It also has white flowers. 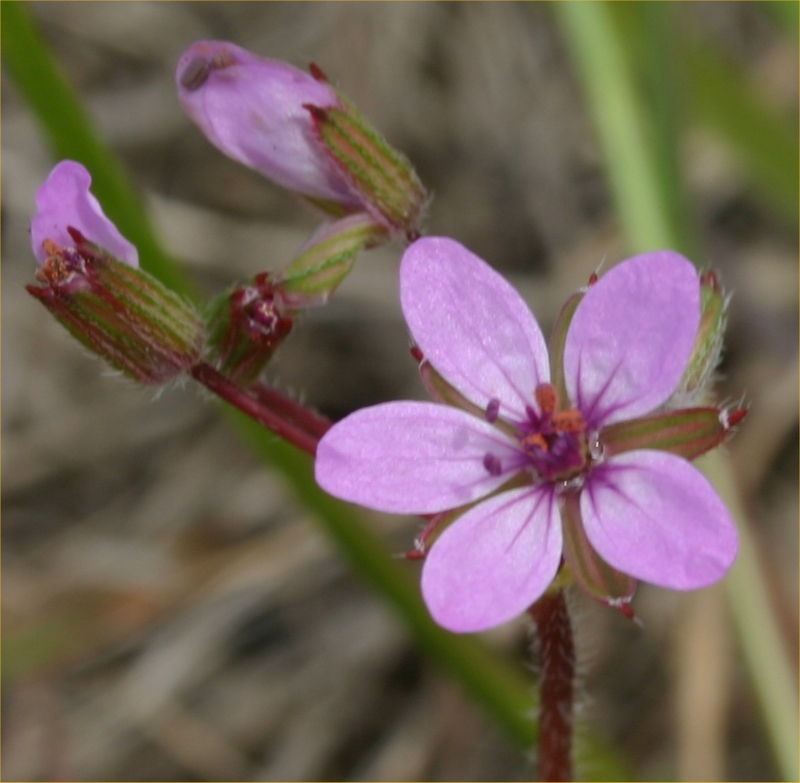 Musky storksbill inhabits wetter areas and is found in pastures, waste areas and roadsides, mostly in the upper North Island but can be found as far south as Canterbury and the West Coast. 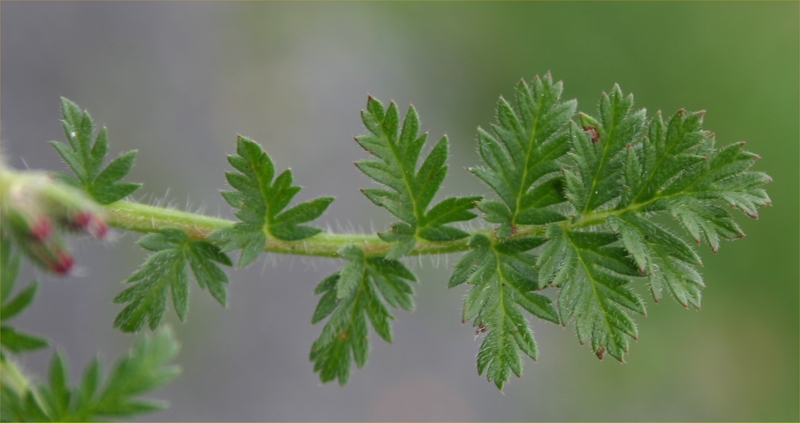 Musky storksbill, in particular, can have long, branched flower stems leading to dense exclusive patches of the weed. 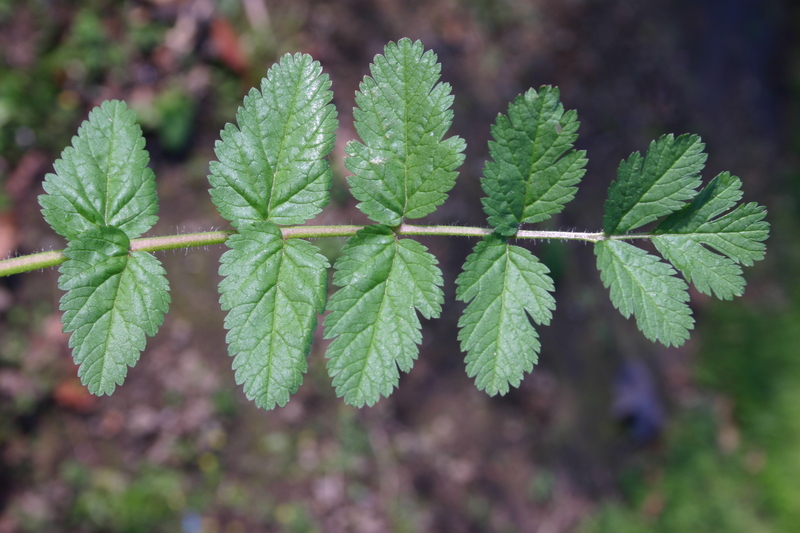 Young leaves have been eaten raw in salads, like parsley, or used like spinach. 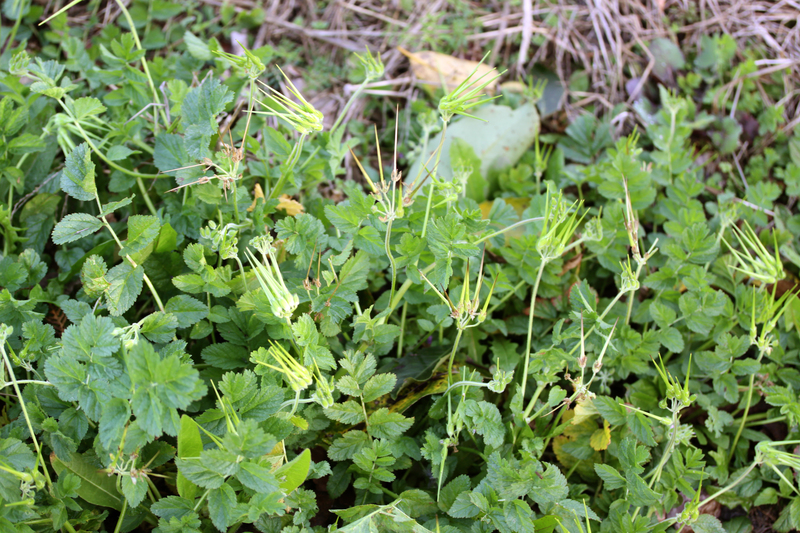 Musky storksbill, being a more robust plant that grows well in higher rainfall areas, is more competitive to pasture. It can form dense mats which stock avoid and can clog up hay-making machinery. 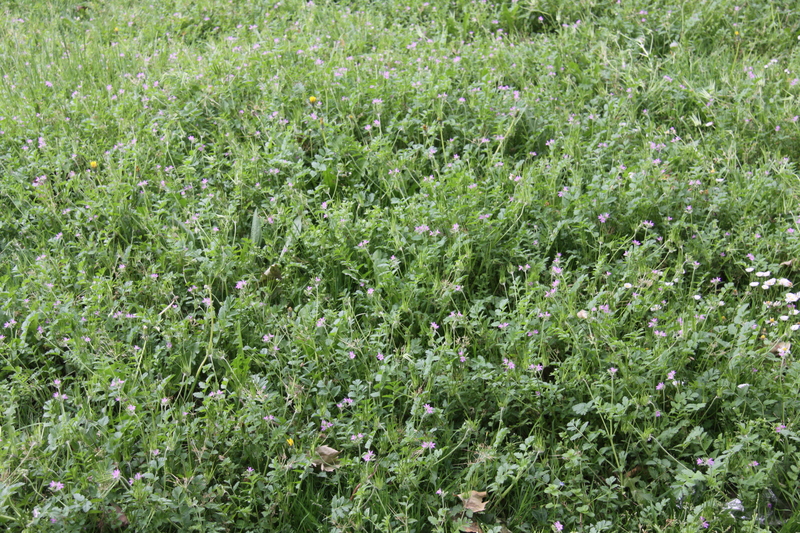 It can be a serious weed in establishing pastures and forage crops. 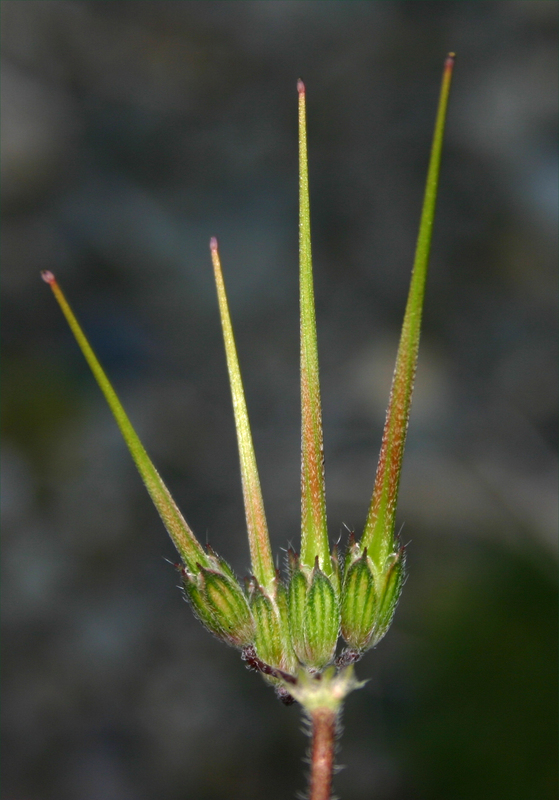 After being used to propel the seed away from the parent plant, the long tail-like appendage on the seed winds up like a corkscrew and periodic wetting (dew) and drying (sunshine) can unwind and wind this spring forcing the seed into the ground. Unfortunately the seed has a very sharp point and this same motion can force the seed through the skin or into the eyes and mouths of animals. Woolly sheep are particularly prone to this. Both species can take up space and deprive desirable plants of water and nutrients, especially open crops such as brassicas (e.g. turnips and kale) and chicory. 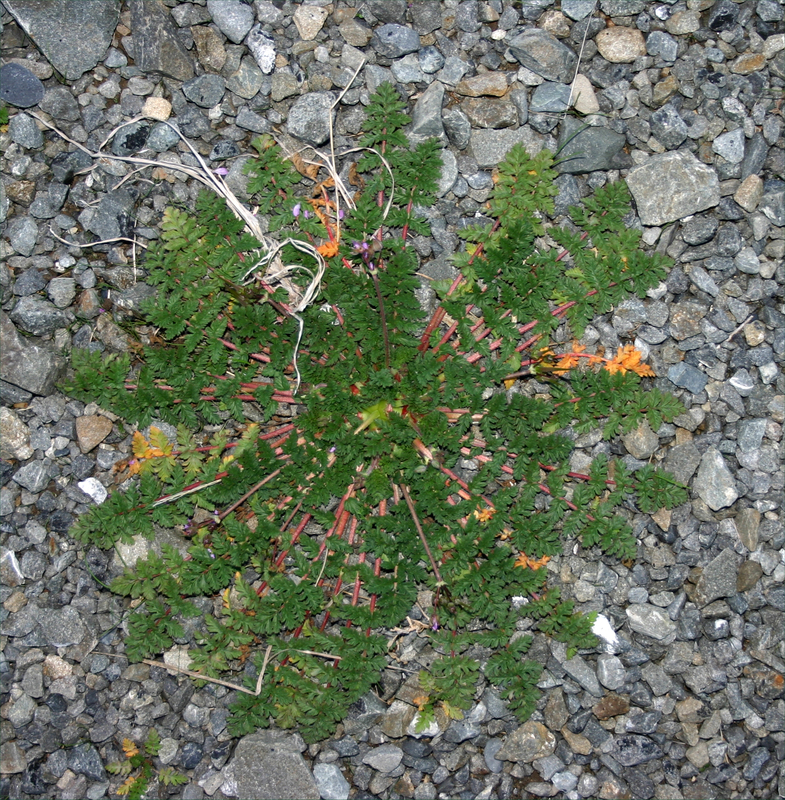 Being rosette plants, storksbills are not good candidates for managing through grazing. However, maintaining a good strong, uniform pasture will reduce their establishment. 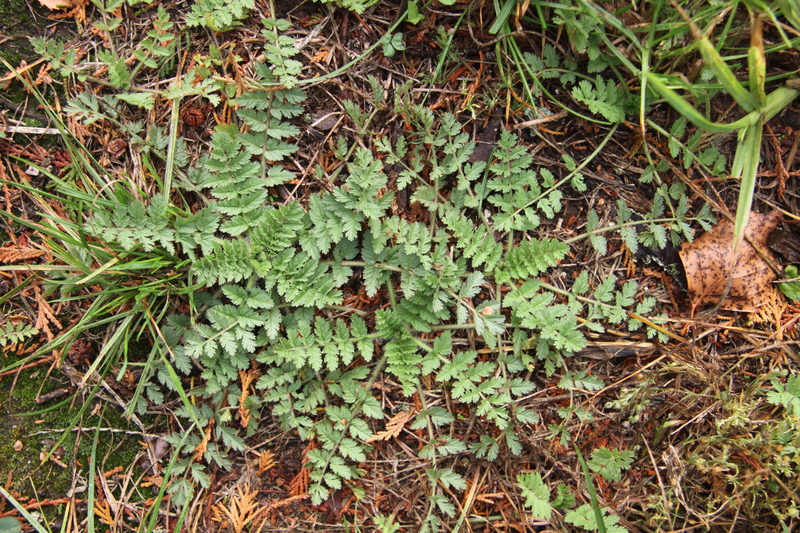 Storksbills are more susceptible as small seedlings where they can be controlled with bentazone and proprietary mixes of bentazone + flumetsulam and bentazone + MCPB.